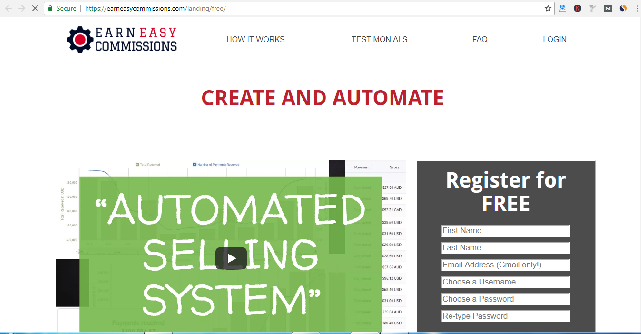 Earn Easy Commissions (https://earneasycommissions.com/landing/free/) boasts their autopilot system which can make you earn $100,000 in only 12 months without spending a single dollar. 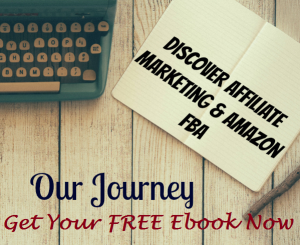 Its creator, Chuck, promises that his system is the internet marketing’s future and it will do all the work for you. On the contrary, a different story is revealed if you will just take a closer look. Earn Easy Commissions projects itself on its website as the future on web marketing and a fresh way of earning money. It claims that they are groundbreaking, entirely automated, “do-it-for-you” system that will make you earn money quickly and without investing any penny. The owner asserts that he is earning more than $400,000 annually with his magical program and once you join him, you can piggyback and earn your share too. An autopilot program that will make you earn $100,000 in a year, who wouldn’t want that? Unfortunately, the owner’s claims are nothing but empty promises of marketing. The possibilities of earning money with Earn Easy Commissions are very thin. Though Earn Easy Commissions seems to be changing constantly, its current structure looks like a Multi-Level Marketing (MLM) or a pyramid scheme. It has sloppy MLM tendencies with pyramid scheme trends. The alarming flag with the pyramiding scheme is that the system collapses as people stop joining and the only members who benefited in earning money are the few at the top. And you’re right, you aren’t on top. Earn Easy Commissions does not make you sell a retail product or service. 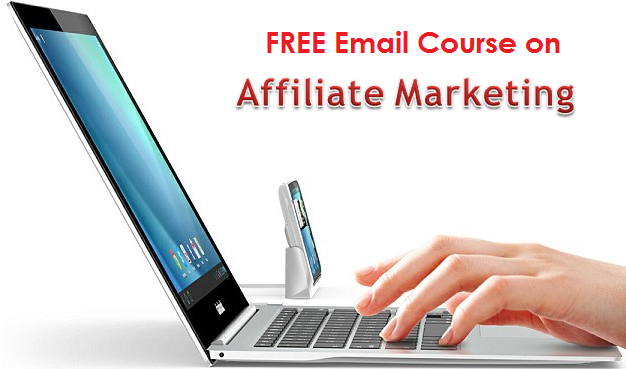 Its members will only earn a commission in promoting the website and the program. Federal Trade Commission’s way of knowing if an organization is a pyramid scheme is checking if most of the company’s revenue is generated using retail sales to non-members. Since Earn Easy Commissions has no products nor services and only gets its revenue from recruits, it can be a pyramid scheme. Chuck, the owner, is the person on top of the pyramid. All profit from his digital products with no inventory costs are all flowing to him in pure profit. It is true that Earn Easy Commissions promises free membership. But once you’re a member, they will eagerly encourage you to upgrade to a series of paid levels. The four levels to the Earn Easy Commissions Compensation Plan are: Free, Pro ($100), Elite ($500), and VIP ($1,000). Obviously, their goal is to make you invest $1,000 for the VIP level. If you will try to read their Refund Policy, you will learn that they don’t acknowledge refunds! Every penny you invested is with Chuck forever! You can only really earn with Earn Easy Commissions by convincing people that they too can make money up to $100,000 automatically with a do-it-for-you program. In short, you should sell them an ultimate dream of solving all their money problems by just joining Earn Easy Commissions. When you buy in the VIP level, you just gave another $1,000 profit to Chuck. And all you get in return is a feel-good fuzz video training that will make you learn how to have a success mindset. However, this kind of videos is absolutely free on YouTube. But some people still believe Chuck story, stops thinking, and click away to buy the VIP level. They are too excited of the earning they can get they cannot think logically anymore. Earn Easy Commissions is not a real system who can give you the earning it promises. If you were convinced to join, you can only make money by selling the dream of earning from an autopilot program. And doing that is not easy at all! So instead of trying to sell an impossible dream, find a program that is legitimate enough to specifically show you how their program works and how they can help you grow your money. Not by a do-it-for-you system that makes you earn automatically. Is 12 Minute Commissions A Scam? – Will It Work? Is 50 Cent Freedom A Scam? – Sound Cheap But Not Really Is Social Commissions a scam? Is Tube Profit Sniper A Scam?- Can It Make Your Videos Earn Money?